Do your kids love picture books? History? Geography? 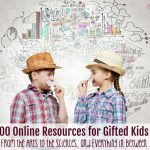 Are you a homeschool parent searching for the right curriculum or a parent of a poppy looking for enrichment? Well, look no further, because Beautiful Feet Books has you covered. 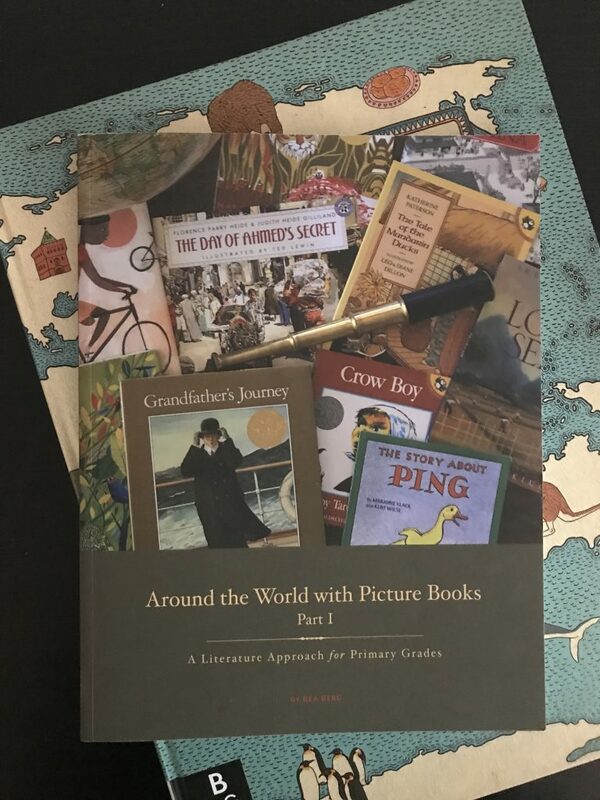 Around the World with Picture Books is the perfect way to explore history and geography through quality literature. This post was sponsored by Beautiful Feet Books. I received a complimentary portion of Around the World with Picture Books Part 1 and was compensated for my time. All opinions are my own. Please see my disclosure policy for details. I was looking at Russia – downtown Moscow, specifically. Apparently 10:30 AM EST is the height of rush hour there: red lines crisscrossed the city in what looked like a great deal of Russian frustration. “Why am I looking at Moscow?” I muttered, not really expecting a response. Over the next few weeks, I detected a pattern. There was a new location each time I opened my phone. If she could point a GPS satellite at it she would go there, courtesy of stolen moments on her mother’s iPhone. Three years later her fascination has expanded to her siblings, though each has his or her own unique spin. The seven-year-old’s interests are decidedly more political (“Mom, when are we learning about Cuba? I want to know what kind of government they have, and why we have an embargo against them.”); the three-year-old’s wrapped up in the existence of animals everywhere. Feeding my children’s appetite for global information in a format they love and I can trust. I’ve had both those needs met courtesy of Beautiful Feet Books. 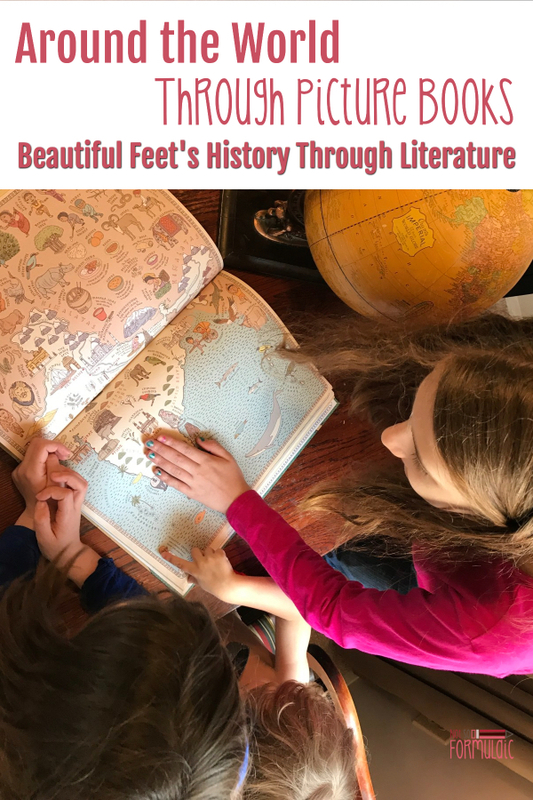 Since 1984, Beautiful Feet Books has been a leading provider of history through literature curricula for both the homeschool and private school communities. 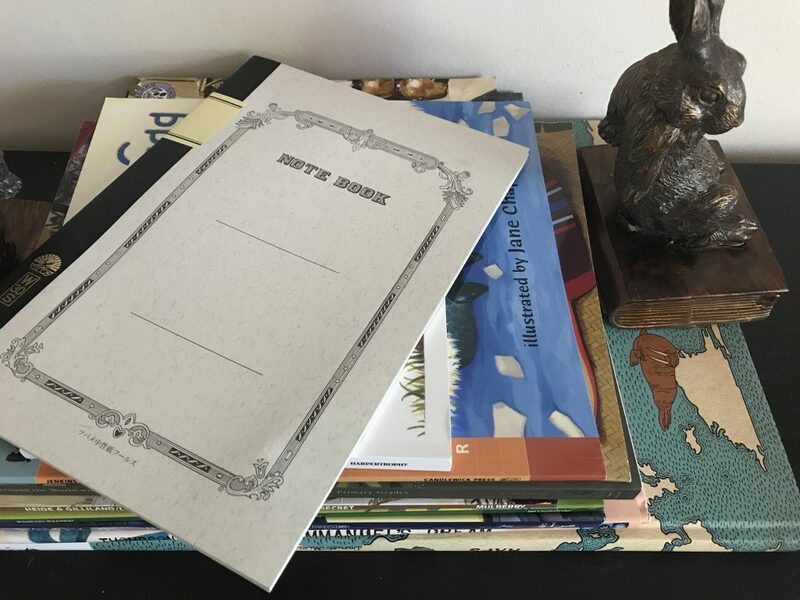 Founders Russell and Rea Berg have spent decades curating high-quality books from the Golden Age of Children’s Literature, seeking to support both parents and schools with literature-focused history curricula that bring education to life. Beautiful Feet’s current selections cover thousands of years of human history, from Ancient times to the modern world. 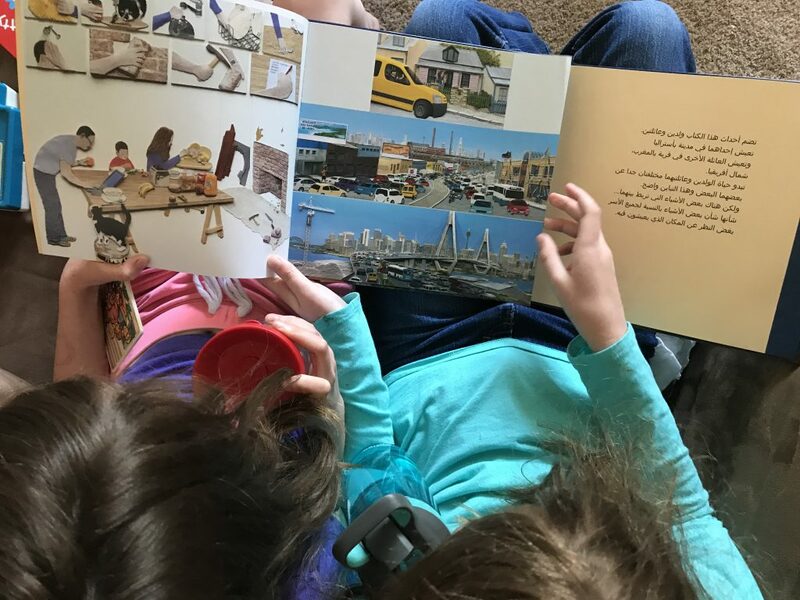 Because of my children’s interest in world geography, I chose one of Beautiful Feet’s Literature Packs: Around the World Through Picture Books. Around the World Through Picture Books is a globetrotter’s dream. 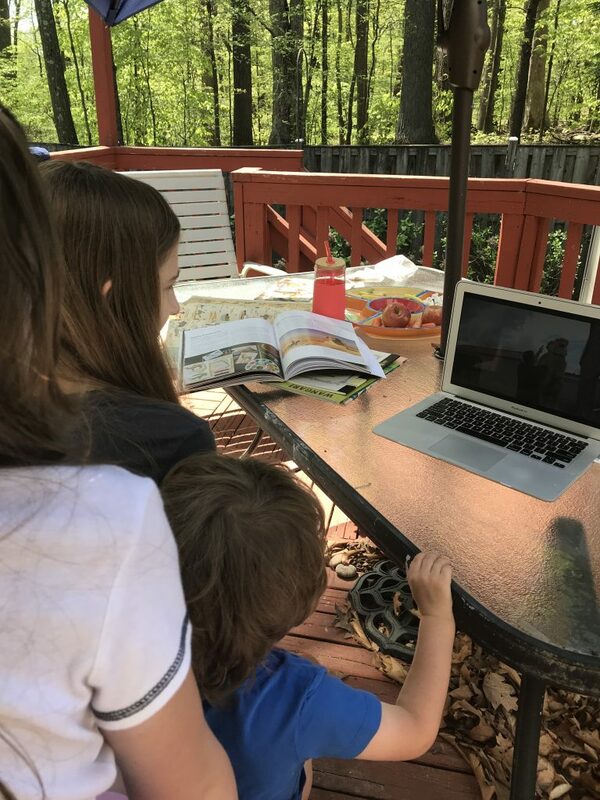 Designed to immerse parents and children in the sights, sounds, tastes, and customs of the world’s cultures, this literature-driven geography curriculum places you right in the middle of some of the most beautiful places in the world. (Part Two [available summer 2018] will feature Europe and South America). When you order Around the World With Picture Books, you receive a total of 17 books. 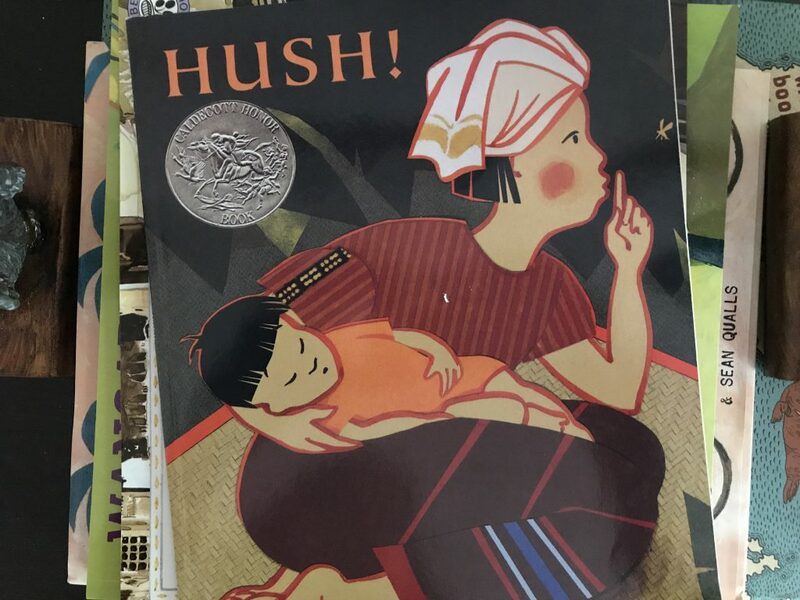 In lilting verse, this Caldecott Honor book tells the story of a diligent mama, her animal neighbors, and a not-so-sleepy baby. 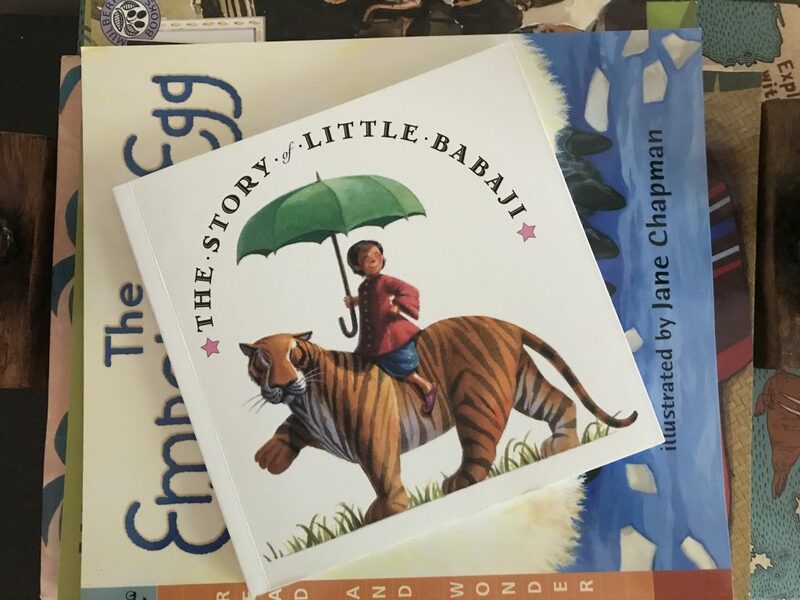 The Story of Little Bajabi is an Indian fable, one that tells the origin of the much-revered cooking oil, ghee. Did you know Papa Penguins stay home and watch the babies while the Mama Penguins go hunt for food? 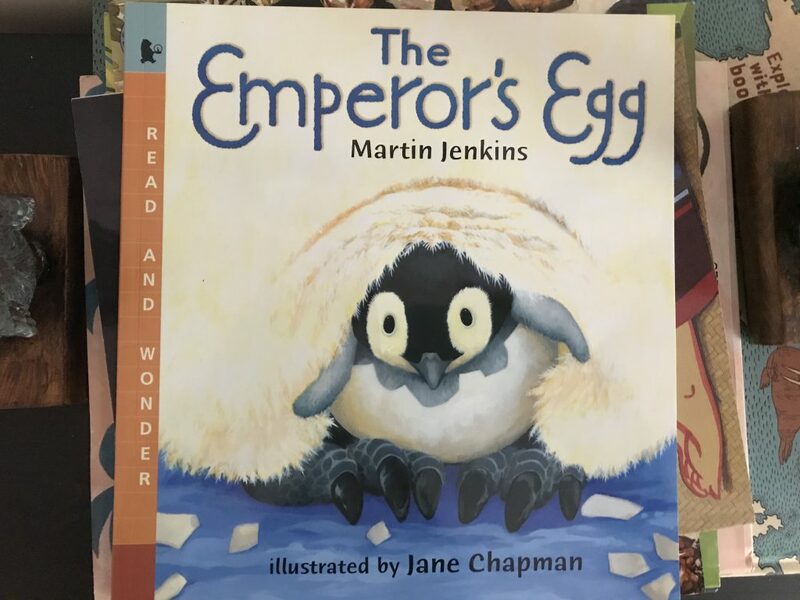 The Emperor’s Egg explores the life cycle and habitat of the Emperor Penguin, Antartica’s resident bird. Aptly titled, Mirror lays out life in Australia and life in Morocco on facing pages using only images – no words. Ahmed has a wonderful secret to share with his parents. Can he manage to keep it hidden while he works? 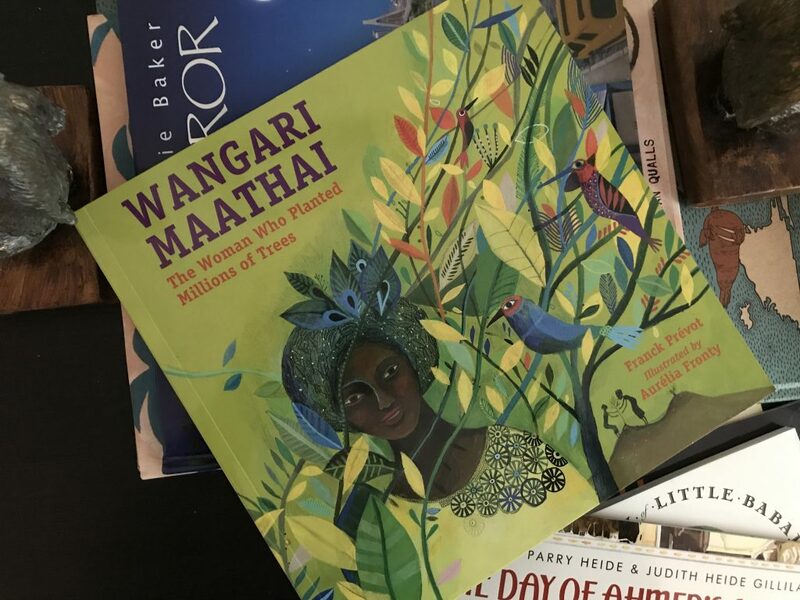 Vibrant illustrations help tell the tale of Wangari Maathai, the Kenyan woman whose conservation efforts earned her the Nobel Peace Prize in 2011. 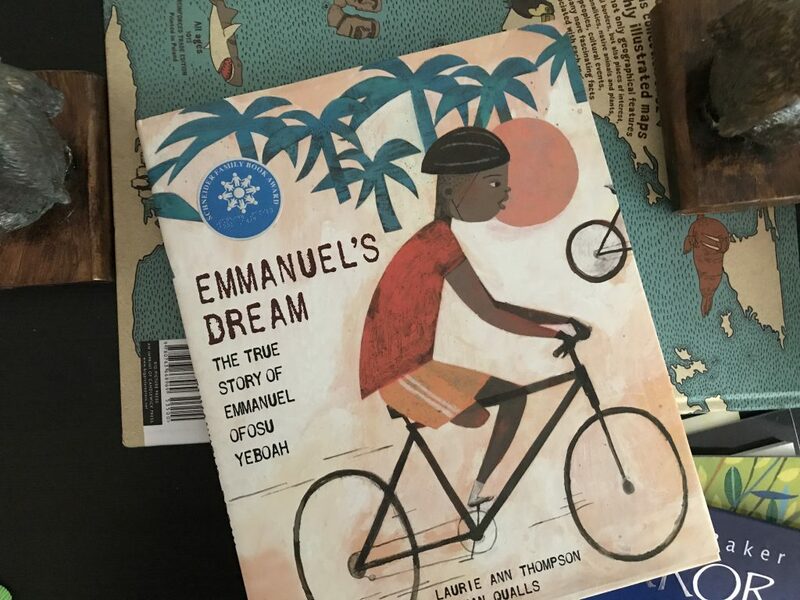 Emmanuel’s may have been born with only one leg, but he wasn’t going to let that dictate his story. 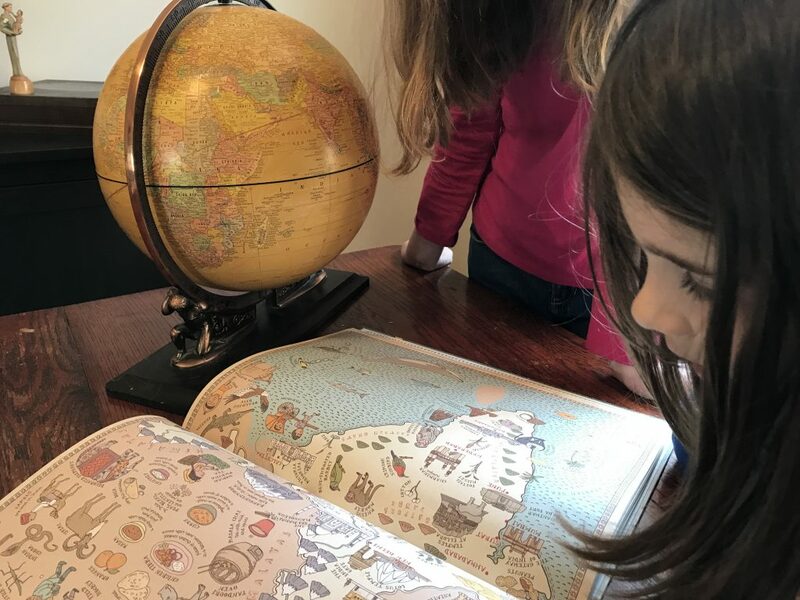 In addition to the picture books above, Around the World also includes Maps, a fantastic, illustrated Atlas from Candlewick, the Around the World with Picture Books Part 1 Lesson Plan Guide, and an attractive lined Tsubame notebook. These titles (plus seven more picture books I did not receive) make for an engaging cultural experience suitable for grades K to 3. 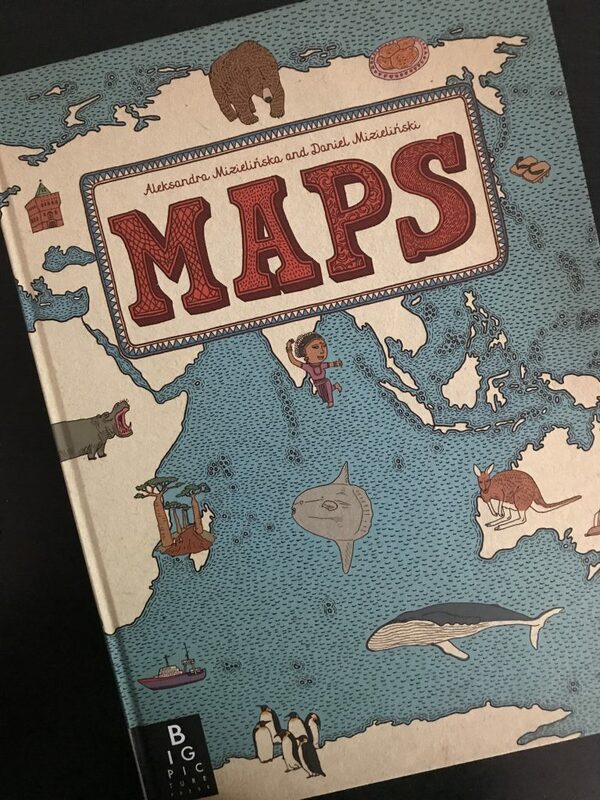 Written and illustrated by Aleksandra Mizielinska and Daniel Mizielinski, Maps provides an incredibly in-depth look at the varying countries and regions of our world. The detailed illustrations not only reveal major cities, landforms, and local flora and fauna, but information about the regions’ cultures and cuisines as well. Each regional study begins with a close look at the map’s illustrations, and my children were entranced every time. 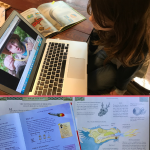 Berg provides detailed, guided lessons for each regional study, using Maps and the picture books as a starting point. Children are invited to delve into nature study, folklore, fables, art, and music through Berg’s resource-rich lessons and guided text. As an exciting extra touch, Berg ends each regional study with a recipe straight from that region. 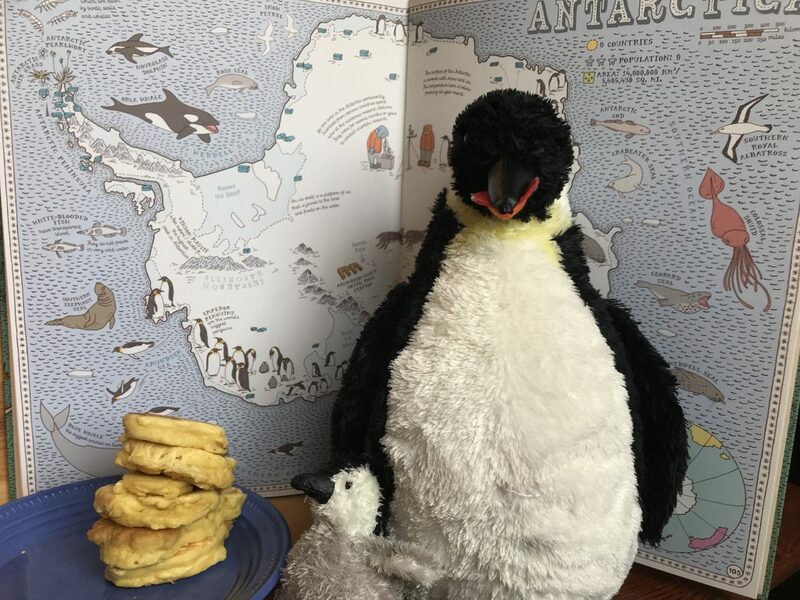 Since my children prefer to be more adventurous with their imaginary travels than their cuisine, we enjoyed making bannocks: a pancake-biscuit hybrid often prepared on Antarctic expeditions. 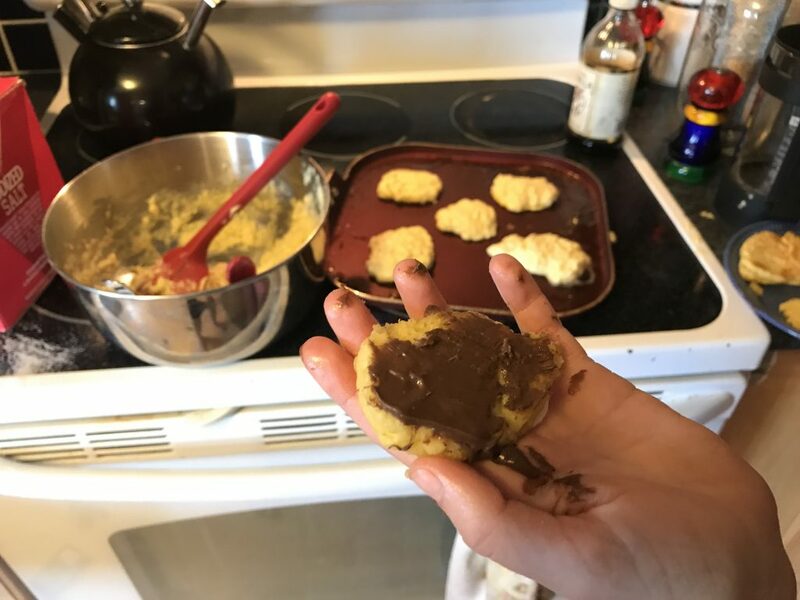 Making our bannocks, and covering them with Nutella. Because of course. A stack of freshly baked bannocks hanging out with our Emperor Penguin pair. The lesson guide for Around the World with Picture Books includes an entire section of line art for each region. Children can cut out the pages, color or paint the images, and paste them into their Tsubame Notebook as a record of what they have learned. 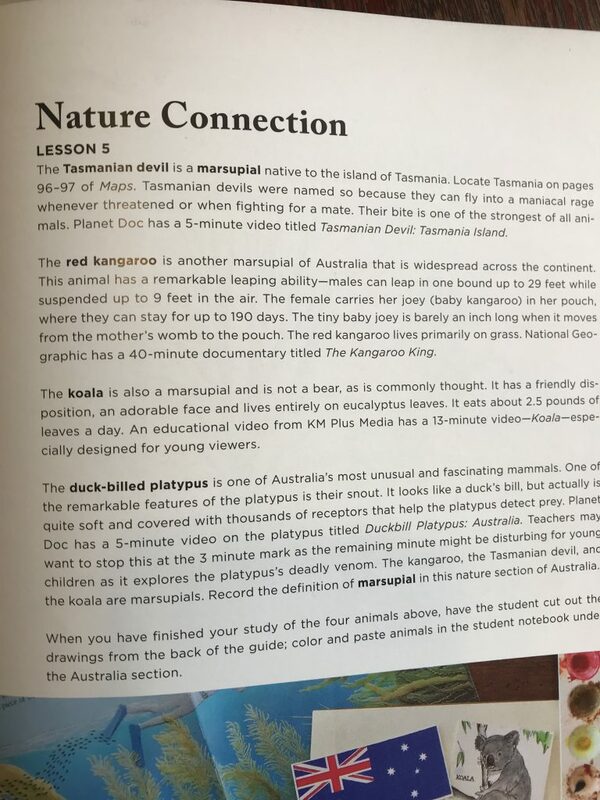 Around the World with Picture Books has a number of benefits for me as a homeschool mom to exceptional kids. I have three children, all four years apart in age. This can make homeschooling a challenge. With Beautiful Feet Books, I was able to find an element of each lesson perfect for each of my children. My three year old gained an awareness of other places. He knows now that there are people and countries other than the home he knows. My seven year old developed a global picture. She is now able to identify how the world’s cultures and climates change according to their positioning on the globe. My eleven year old experienced an opportunity for deep introspection. Already an avid reader and collector of information about the world’s places, people, and animals, Around the World with Picture Books allowed her to see firsthand the lives of people in other places. She developed a deeper appreciation for her own circumstances, as well as the struggles and the joys of people around the world. My kids love to read, and picture books are no exception. 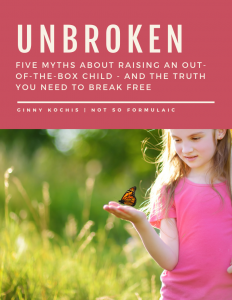 In fact, as we progressed through the lessons as a family, it was not uncommon to discover my oldest sitting with her siblings around her as she read to them from that week’s picture book. 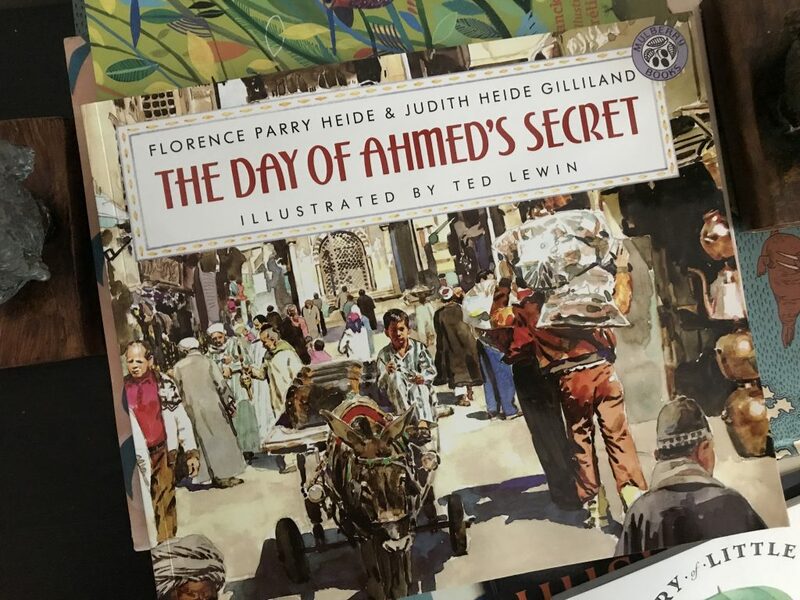 They were able to connect the images to the language and the language to the people and places, asking questions, making inferences, and growing their critical thinking skills. Berg’s research is exhaustive and impeccable. 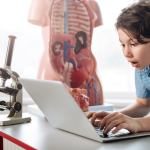 The inclusion of suggested books for further reading, internet videos for viewing, poetry connections, recipes, art, and music make this study a comprehensive learning opportunity for incredibly curious kids. 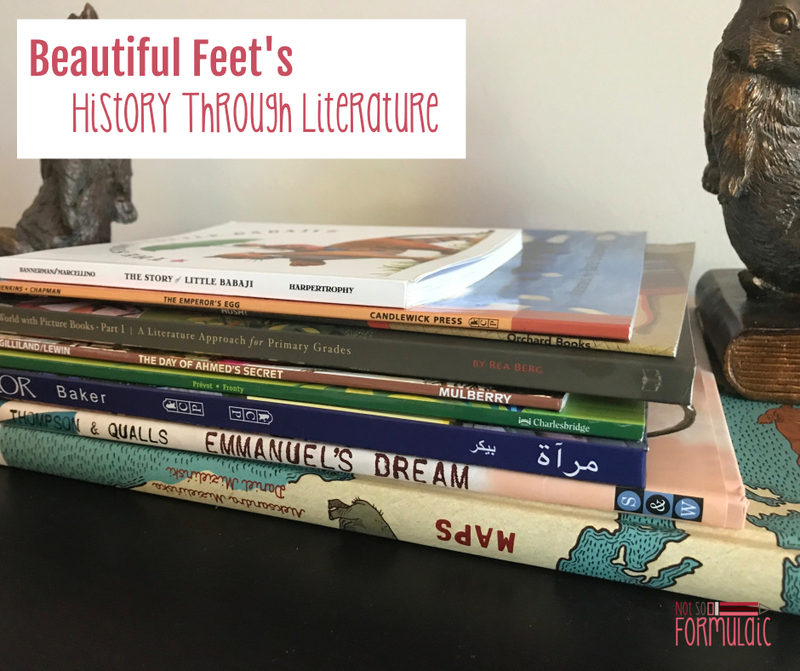 What else did I love about Beautiful Feet’s Around the World Through Picture Books? Berg’s note to parents about the suitability of an internet resource. Beautiful Feet Books even printed the artwork on heavyweight watercolor paper, the perfect medium for my perfectionist painter. 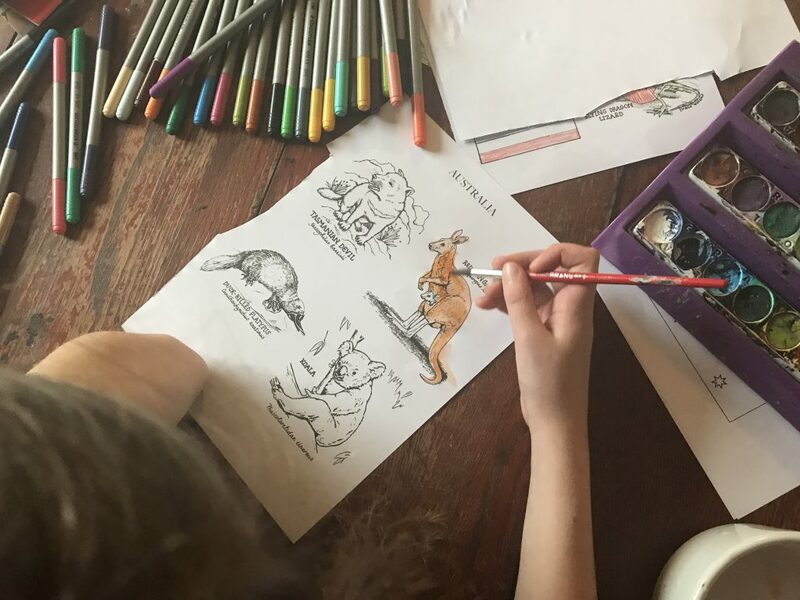 Around the World with Picture Books is the perfect resource for curious, creative kids – and they didn’t have to pick up my iPhone once. Interested in learning more about Beautiful Feet Books? Request a catalog, or head on over and browse their site. 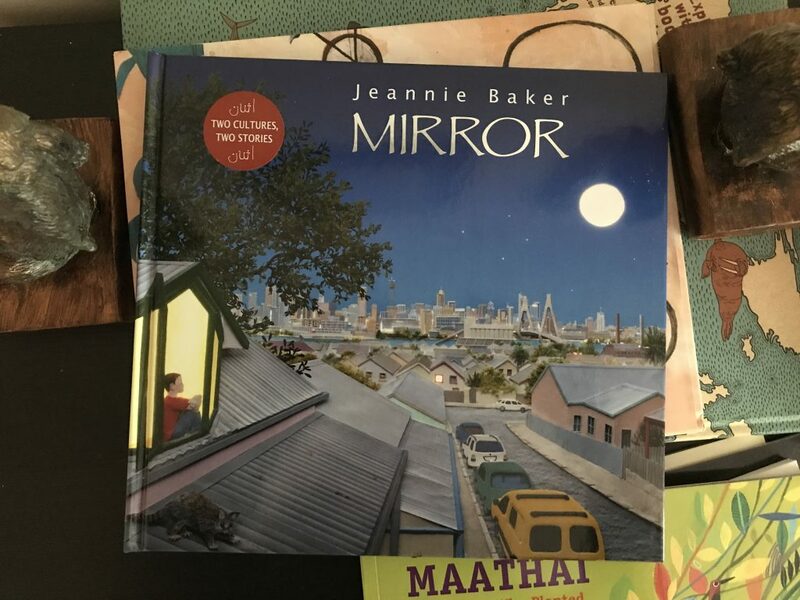 Better yet – enter this giveaway for a $100 Beautiful Feet Books credit, then use it to grab your own Around the World with Picture Books pack! Gifted Kids Need Advocates. 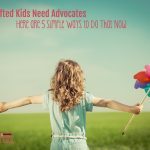 Here Are 5 Simple Ways to Do That Now. As a former geography teacher, I am in awe of the resources available with this curriculum. These are wonderful! I am going to pass this onto all my school age parent friends. I love Beautiful Feet books! Although I don’t yet have this pack. 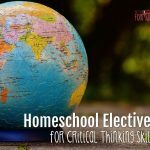 This post reminded me about why I was excited to be able to homeschool our kids! Who wouldn’t be interested in learning with such awesome books as sources!? Right? It’s such a joy to discover resources like this. Do you have any tips or suggestions on how to organize the flow of a lesson? I pulled all the extra books from the library and now all the resources seem so overwhelming. I find myself frazzled pulling from so many books, videos, etc for a lesson that could go easily over an hour. I thoroughly enjoyed Beautful Feet’s Early American History curriculum last year. It seemed a bit more streamlined with regards to lesson plans. Thank you in advance for any suggestions you may have. Hi Dawn. I’m more of a relaxed homeschooler, so I would probably stretch things out over the course of a few days. Or, if the kids were really into it, just plow through until we were done. My first suggestion would be to start with what appeals to you or feels most important and focus on that. You don’t have to do everything suggested or laid out in the lesson. Thank you for the reply. Much appreciated. We are planning on only two lessons per week. 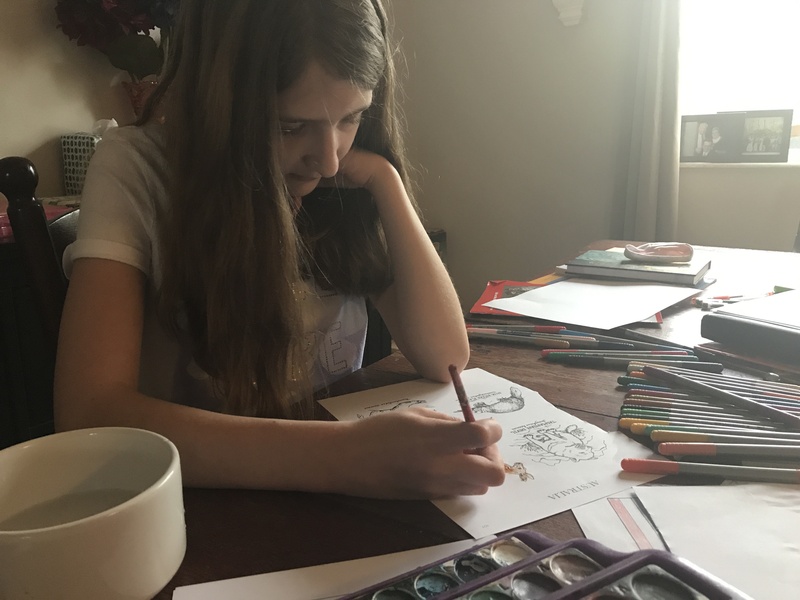 It may just be the beginning of the school year and trying to settle into a routine with math, science, writing, reading, spelling, grammar etc and thinking Around the World was going to be more open and go. 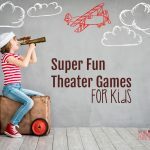 I was just curious how you or others who have used Around the World organized your lessons. Thanks again!